This was a project that I produced, with the design agency I co-founded, for Creative Time's holiday light show in Grand Central Station. Two very special projectors were used to throw moving video all over the ceiling of the iconic space. 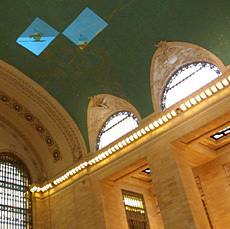 "The Catalyst System cast the artworks onto the teal vaulted Sky Ceiling of Grand Central Terminal’s main concourse with dynamism never before achievable in video projection technology." 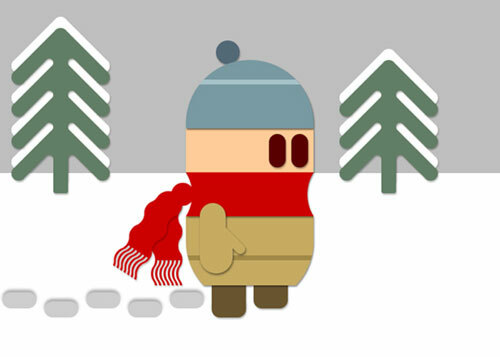 We created a touching story of a character that wanted to fly south with the ducks for the winter. At the time (2002), "projection mapping" like this was brand new.